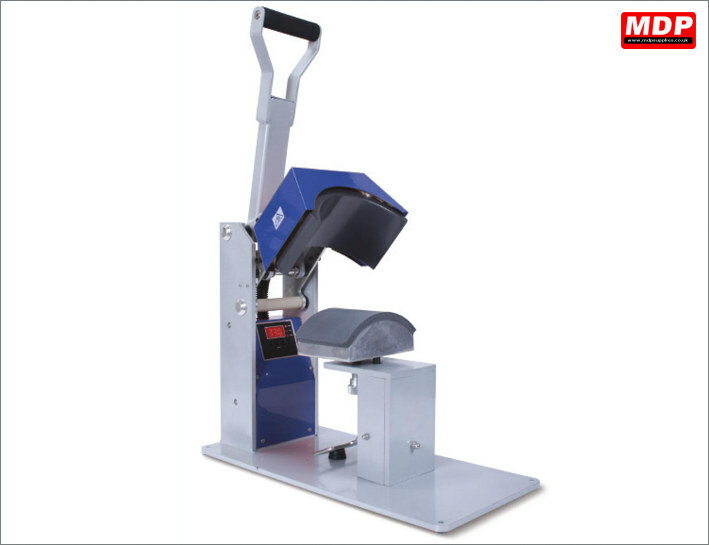 All Stahls cap presses feature a hold down cap device to secure cap whilst pressing and under-the-center pressure adjustment to ensure an even, edge-to-edge heat and pressure. 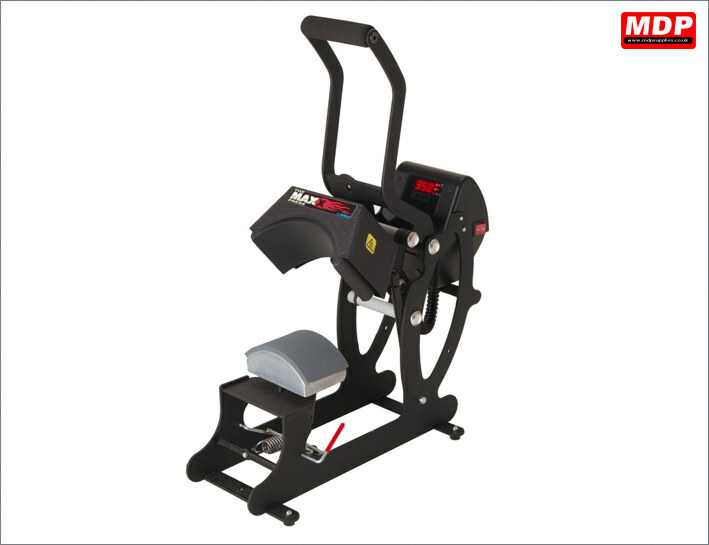 We also stock a range of optional cap platens which fit the Stahls Maxx and Stahls Sprint Mag cap presses so every possible size of cap can be pressed. Features digital temperature and timer readout. 2 year warranty on heating element. Please note the platen is fixed on this model so you cannot use other sizes of platens. Price for 1+ £329.00 ea. Easy-to-read digital time and temperature display for consistent printing. Smooth shock opening for easier operation. Price for 1+ £529.00 ea. Locks down easily with patented magnetic assist, causing less fatigue on wrists and shoulders and auto opens on timer end. 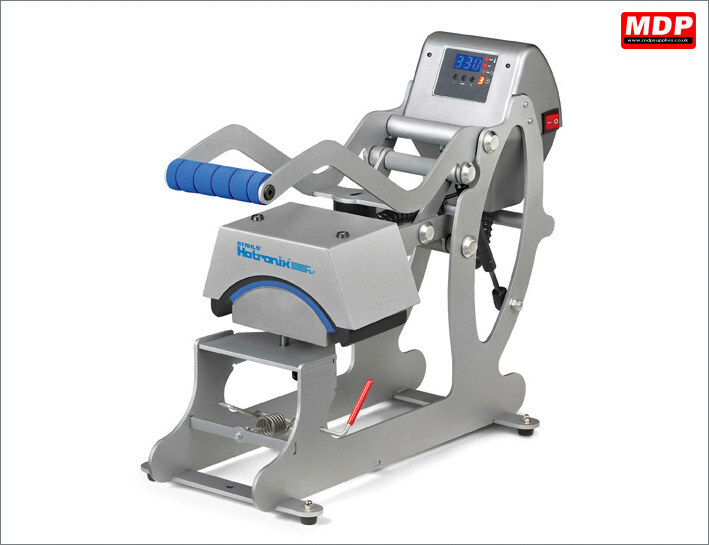 Features a twin timer for two step applications with pre-set function. Lifetime warranty on heating element, 5 years on frame. Price for 1+ £659.00 ea.